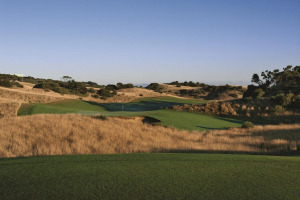 St Andrews Beach Golf Course is currently rated in Australia’s Top 10 and is Victoria’s highest public access course on the Mornington Peninsula. Situated just metres away from the thunderous surf of Gunnamatta Beach and designed by world renowned course architect Tom Doak (designer of Barnbougle Dunes and Cape Kidnappers), St Andrews Beach is a stunning course that caters for golfers of all levels. Incredible, naturally draining soil ensures immaculate course conditions all year round.